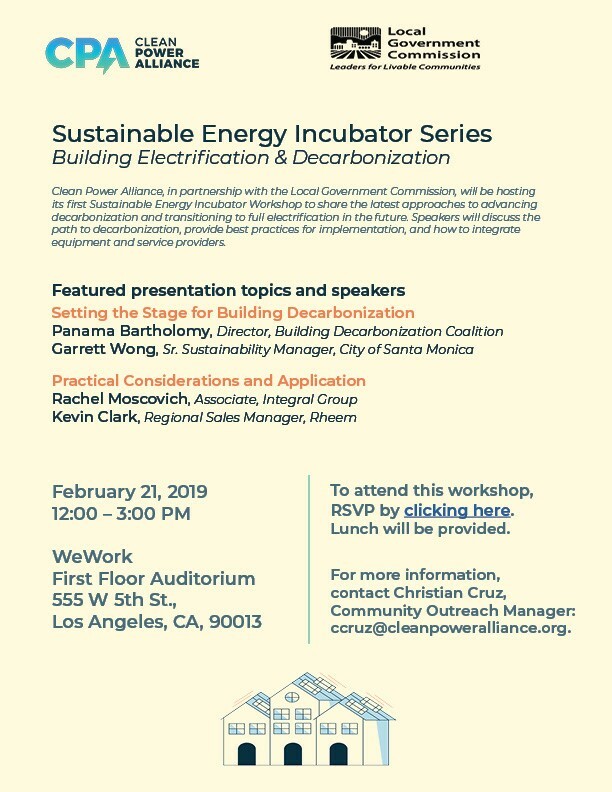 Clean Power Alliance is excited to announce our first Clean Power Alliance Sustainable Energy Incubator Series event! Please mark your calendars to join us on February 21 (event details below and attached). The topic is Building Electrification and Decarbonization. Clean Power Alliance will be hosting these events throughout the year, in partnership with the Local Government Commission, and are intended to provide a platform for our member agencies and partners to come together and share the latest innovations in the energy and sustainability sectors. © 2019 · Ventura County Regional Energy Alliance.